My posting has been infrequent lately, and I want to apologize by presenting this magnificent and rare Greek EP. The name translates to CHAOTIC DIMENSION, the title is "Citizens of Hell," and the sound is brilliant melodic punk. 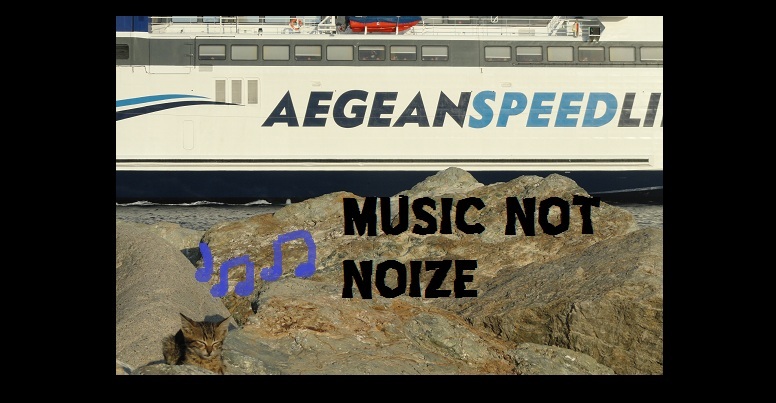 Released by the prominent Greek label Wipe Out! 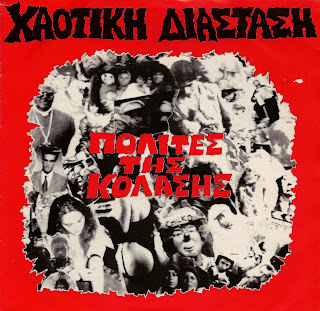 in the early 90's, this EP carries on much in the tradition of glum-vocaled and melodic-guitared sound of the bands coming out of Athens in the 80's, but CHAOTIC DIMENSION hailed from the Peloponnese city of Patra. They also released a decent LP a few years later, but this EP truly captures them at their best. 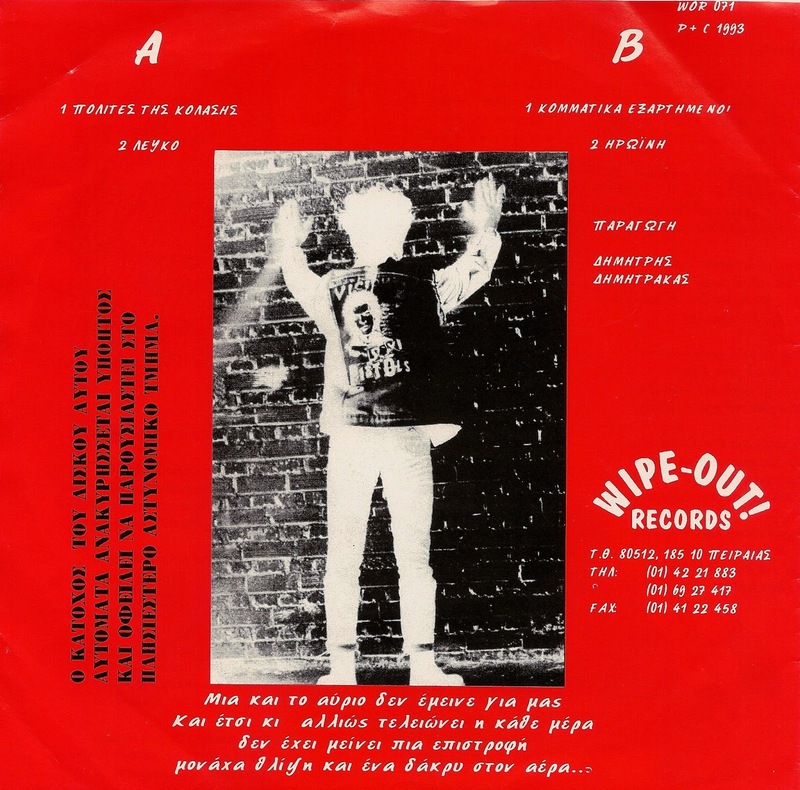 Definitely one of my favorite punk records from Greece! A gem! I can't believe they were from Patra. Another underrated Greek band...I have the LP as well, and I think the first 2 or 3 songs are my favorites by them. I hear from a Greek friend that the singer is doing time for stealing antiquities from a museum. Wow, great info! Any idea what he stole? FUN PEOPLE - Angustia, No, No. 10"